It sure have been awhile since my last Bright Ideas Post..but I am so excited to be linking up for this month's June Bright Ideas Hop! 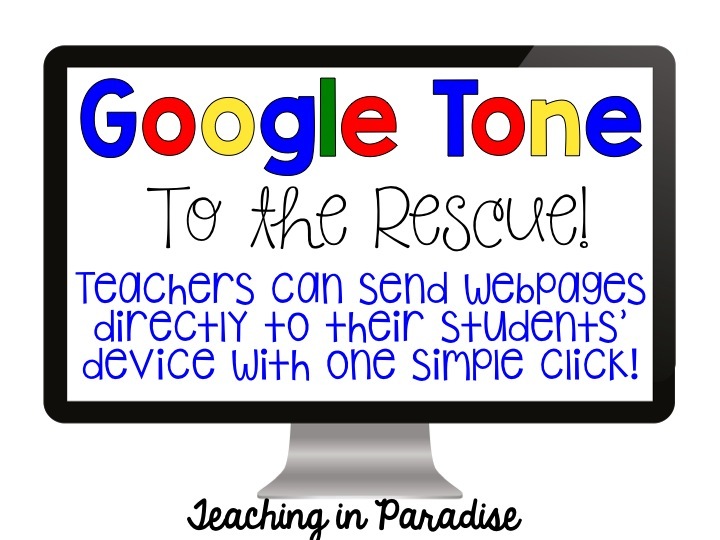 Do you use technology in your classroom? If you answered yes to the above question you have probably experienced the headache of explaining, redirecting, waiting, and trouble shooting your 28 little angels to a certain website (where you plan to begin your lesson or activity). During this time, you have probably also witnessed little voices shouting out and hands being raised asking "Wait..what was I supposed to type?" or "What was I supposed to click after this step?". Today I have the solution to this problem! Google Tone allows teachers to send webpages directly to their students through a sound wave. Accessing a site will now be easy and quick! No more wasted time. 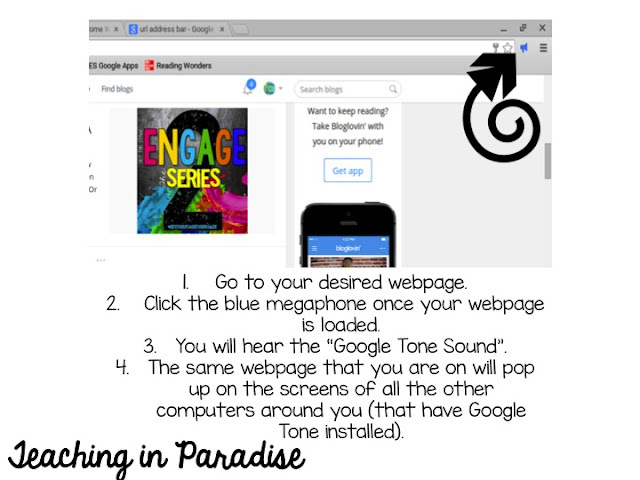 Download Google Tone from the Chrome Web Store. After downloading, you will get a little blue megaphone icon added next to your URL address bar. Thank you so much for stopping by today!! If you enjoyed this bright idea, please consider joining me on Facebook or Instagram for more great ideas! For more bright ideas from other bloggers, please browse through the link-up below and choose a topic/grade level that interests you. This is an amazing idea! Can't wait to try it out! Interesting! Google is so innovative. I love it. So simple! I can't wait to try it! I LOVE this idea!!! I can't wait to try this as soon as I get back to school!!! Awesome! This will save so much time! Want This Blogger Widget? Click Here!